Ickleford is a small village just outside Hitchin. 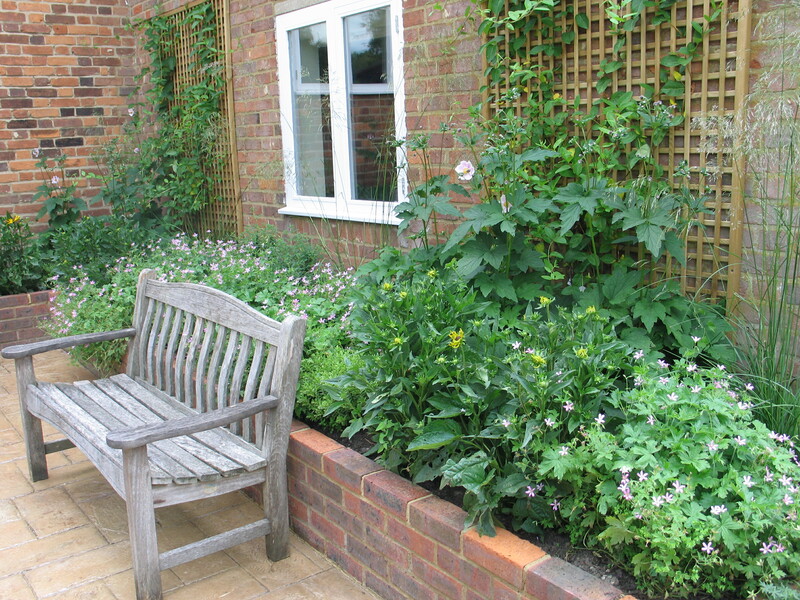 Last year I was asked to replant a large rural garden there. 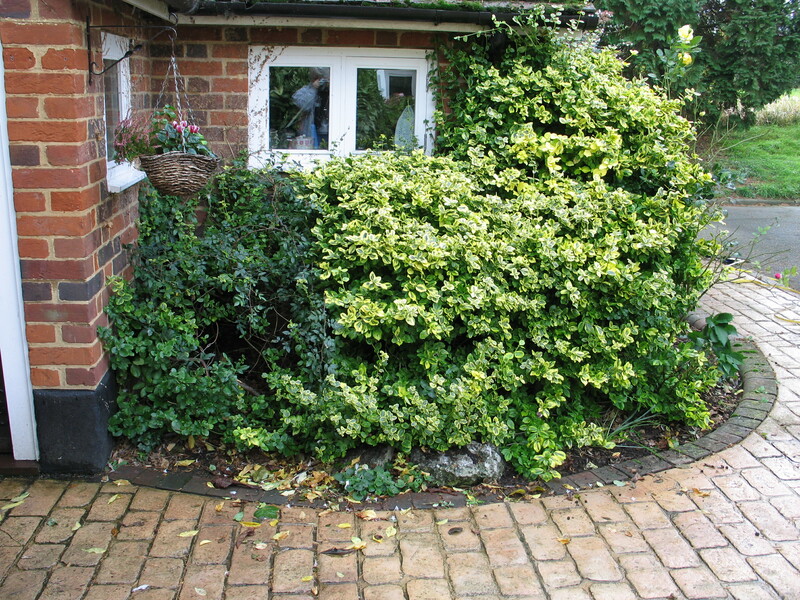 Although well looked after the majority of plants were overgrown, especially the shrubs and the garden lacked any colour particularly in the summer. 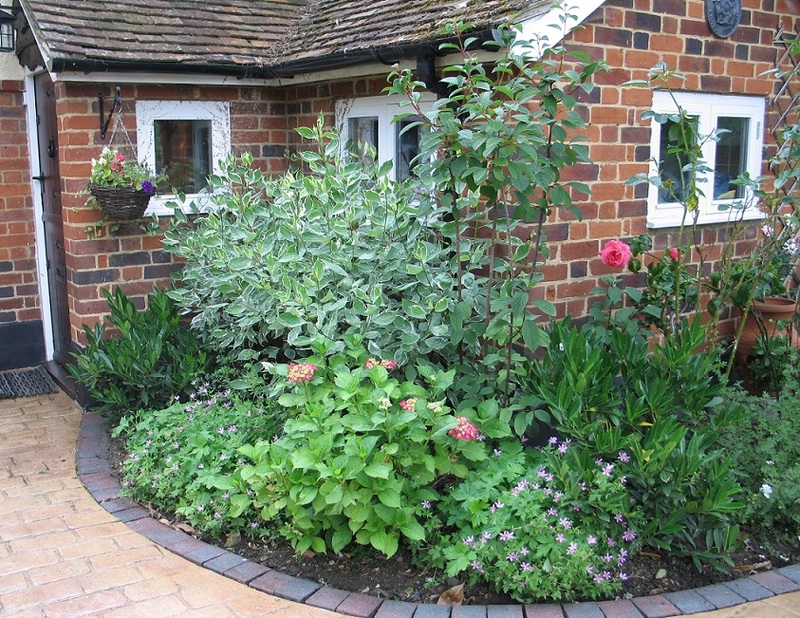 My brief was to replace many of the existing plants, fill empty tired borders and add lots of colour with flowering perennials. I wanted to use some traditional cottage garden plants like Geraniums and Honeysuckle but also incorporate a few modern plants to bring the garden up to date for the young family living in the cottage. I decided to use a colour scheme with lots of yellow, pink and whites with the odd splash of orange for depth. 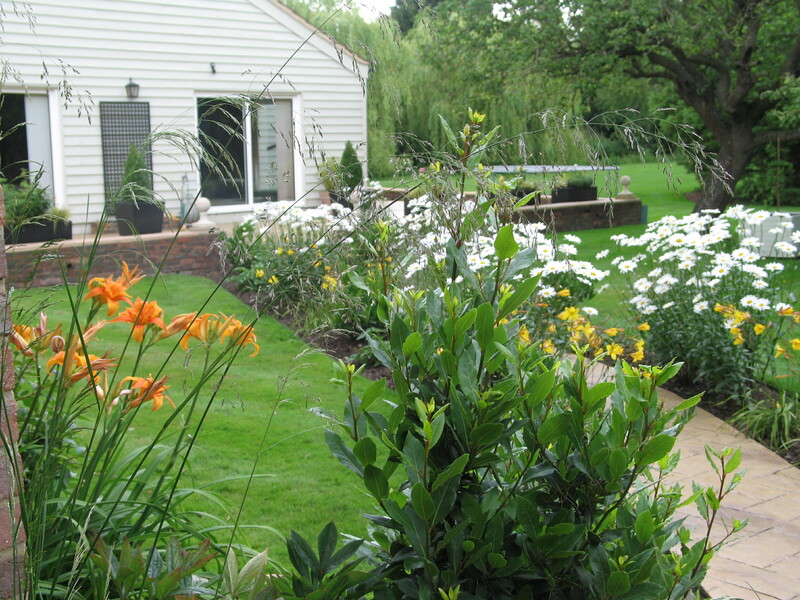 Leucanthemum, Rudbeckia, Hemerocallis and Geranium were all included to the new planting scheme and repeated throughout the garden. As well as replanting the borders within the garden I also used some new planters to add interest to an area with lots of paving. 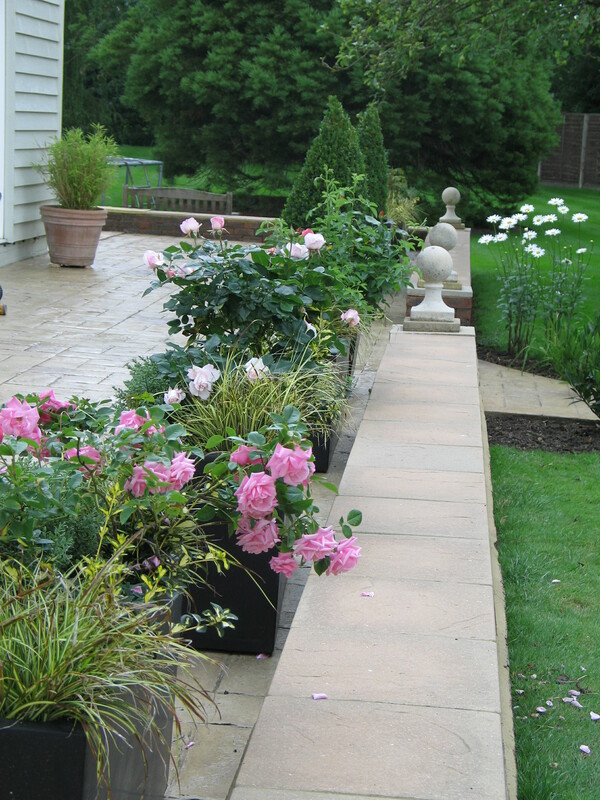 Large, rectangular containers were used to make all year round focal points using a mixture of roses and evergreens. 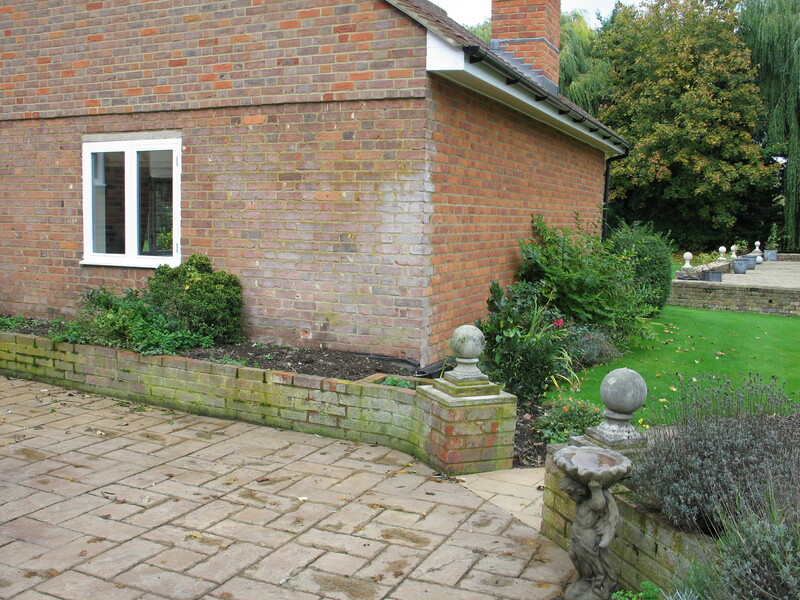 This meant that they would look good throughout the year and still provide some colour in the winter. Clipped Buxus Pyramids were married with Hebes, Carex and Ophiopogon to compliment the grey, slate effect of the planters.